Hi guys! As I told you, I'll be doing during these weeks a few smaller DIY's. Today I'm bringing you the second one from that series. 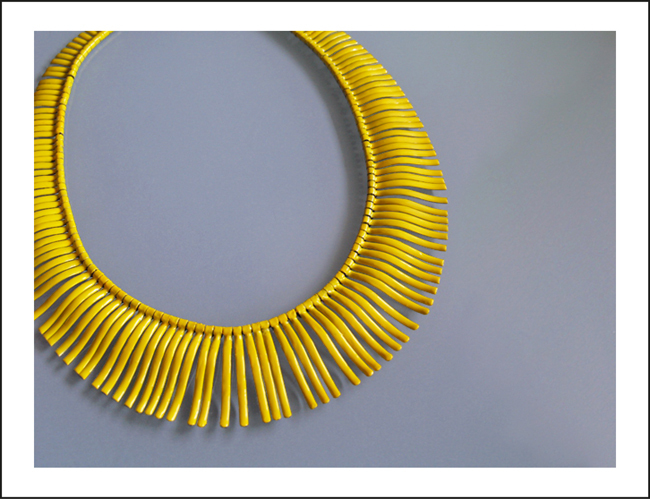 It is a very simple idea; I had this necklace since some time ago, but I wanted to make it more wearable for the summer. So I decided to paint it with nail polish. Probably most of you guys have already done any DIY like this, using polish. I think this is one of the most suitable paints for any fashion craft. Even tough over our nails, most of times doesn't last so long, over surfaces such as plastic or metal works really well. It resists scratches, doesn't fall off and doesn't wear out, as it happens in nails. To achieve a perfect finish, you'll need to apply a few layers. The final result looks shiny, even, and without brush marks. However, note that the thicker the polish is, the worse it will look. So you'd better buy a new nail polish or use one liquid enough. 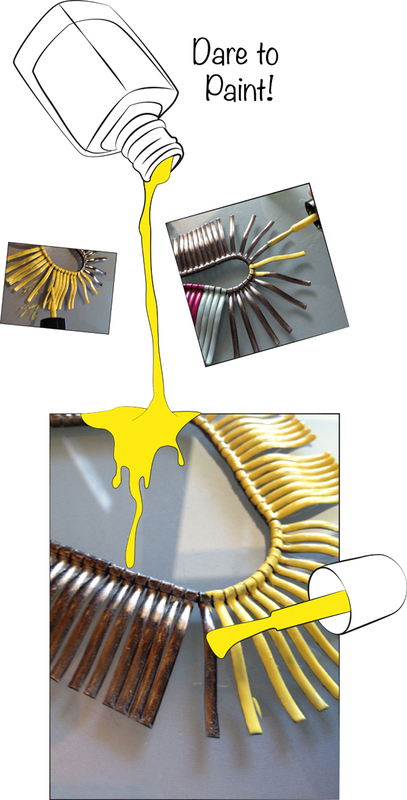 At first I tried mixing a few colors, but in the end I removed them all and painted the necklace only yellow. This is one of the best things of this DIY: if you don't like the result or just get bored of the color, you can always remove the paint with nail polish remover. I hope you guys liked this. What do you think? Have you ever used nail polish for a DIY? Have you done anything similar in another way?